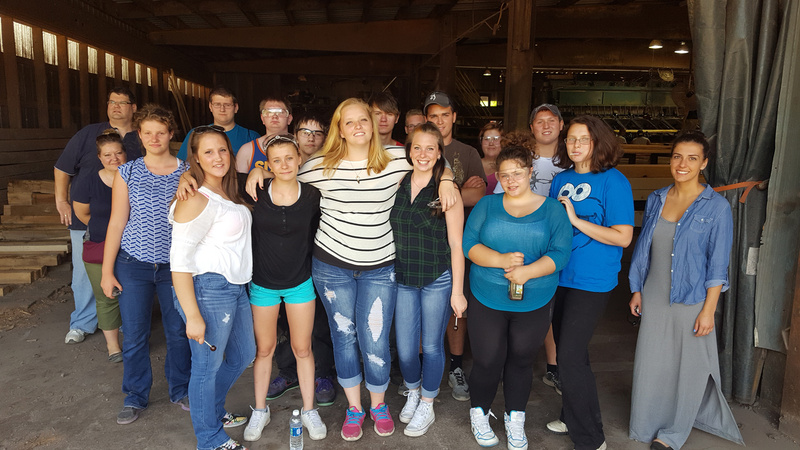 On July 20th, Pine Creek Lumber hosted a tour of their facilities for high school students from Bucktail Area High School (Renovo, PA) and Central Mountain High School (Mill Hall, PA). There were approximately 17 students and one advisor, Jami Dolan, Workforce Specialist with CareerLink in attendance. The students were from a summer program called Camp STEAM (Science, Technology, Engineering, Arts and Math). The Camp focuses on exposing senior high students to local businesses through career exploration by touring local businesses, hosting employer guest speakers, etc. The students also participate in soft skill workshops, financial literacy training, entrepreneurial skills and other leadership activities. The program is sponsored by the CSO (Central Susquehanna Opportunities) and as an incentive for participation, students are offered a $250 stipend for the two-week program. 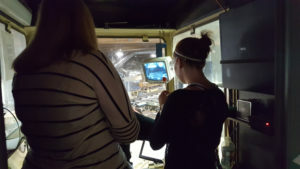 The 30-minute informative tour consisted of two groups led by Dale Shughart, Mill Manager and Lou Sycz, Comptroller. Shughart and Sycz explained each step in the process from purchasing the timber to cutting, trucking and mill of it. A brief Q & A time was held after the tour with light refreshments of cold drinks, cookies, oranges, lollipops and granola bars - a treat for the students and the staff! One of KWPA’s goals is to promote career opportunities in the industry through education and outreach. This event helped create interest in the lumber and wood products companies and enhanced student curriculum. Each student received a brochure about the PA Forest Products Industry and were encouraged to visit paforestcareers.org. They were also invited to continue learning about Pine Creek Lumber by liking their page on Facebook. KWPA gives many thanks Pine Creek Lumber for opening up their facility and hosting this educational opportunity!